Here at Plecto, we know that designing an engaging dashboard that covers all bases can be tricky. You want your dashboard to be attractive but intuitive and comprehensive but easy to understand all at the same time! 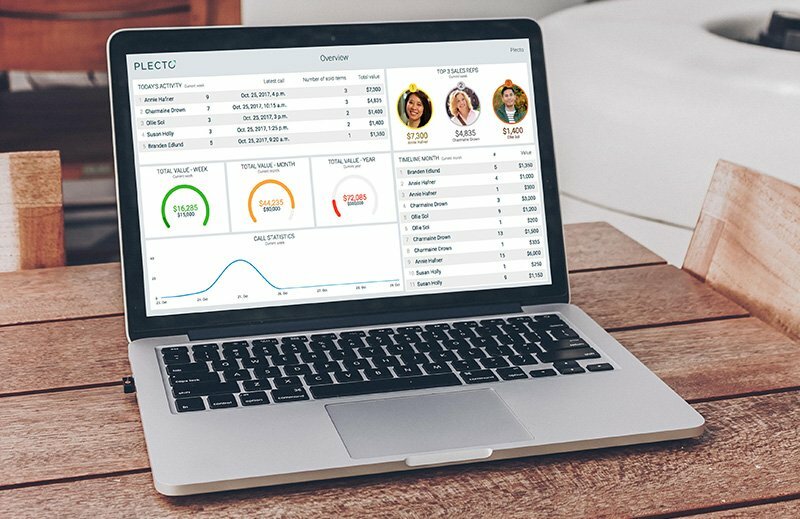 One of the main reasons our customers use Plecto is because they want an effective way to display KPIs and metrics to their employees. But how do you go about designing an engaging dashboard that actually gets your employees excited and passionate about achieving their performance metrics? This is where we can help. In this article we are going to talk through six ways you can design a dashboard that engages your employees. Keep reading to find out what they are! It is important that when designing your dashboard, you pick KPIs and metrics that employees can have some effect on. This is important as if employees are constantly exposed to KPIs that they have no control over, they will have no motivation to want to change them. A couple of examples of good performance metrics in sales are number of calls, number of meetings, and closed deals. Bad marketing metrics are ones like sessions and bounce rate - KPIs the employee can’t influence and shouldn’t be measured by. Looking for inspiration on call center KPIs and metrics? To increase employees’ connection to their work, you can use their names and pictures to be displayed alongside their results. This creates a sense of attachment and responsibility and will make employees more engaged and motivated to meet and exceed their KPIs. Plecto dashboards are fully customisable so the possibilities are endless when it comes to design. Your employees could even design some dashboards of their own if there's specific KPIs or performance metrics they'd like to keep track of! By using Plecto’s notification features, you can easily recognise and appreciate when an individual or the team achieves a goal or hits a milestone. You can play a custom sound, display an image or a video when a trigger is activated. This could be a closed deal, a new sign-up or a great customer support rating. Recognising achievement in this open way encourages employees to repeat the behaviour. To add an extra level of motivation, you can give employees a prize to coincide with their successes shown on the dashboard. In a couple of our recent blog posts, we have discussed what gamification is and how it can be used in business. To quickly refresh your memory, gamification is the process of applying game-like features such as the element of competition and points, to non-gamified situations or tasks to make people want to partake in them or enjoy them more. Plecto’s gamification features include points, badges and leaderboards which can help you spark friendly competition amongst your team. As we discussed in our previous blog post, the psychological drives behind gamification are powerful; there is no doubt your team will become more engaged. This is especially true in sales departments where everyone wants to be number one! Our full ‘golden rules’ of dashboard design can be found in our dedicated blog post but we’ll quickly summarise what we discussed for you now. We mentioned using large text as it helps with readability, using different widgets to keeps the dashboard visually appealing and also using conditional colours as this allows dashboards to be understood at a glance. Having an intuitive dashboard means that employees are going to look at it a lot more, and are going to be able to understand what the dashboard is telling them. This results in them being more engaged in their KPIs. Plecto dashboards can be displayed on any TV with an internet connection – and it’s super easy. Displaying a dashboard on a TV screen across the office increases your employees’ accountability for their performance and motivates them to achieve as their results are visible for all to see. Interested in using dashboards at your office to motivate and engage your employees? Try Plecto free for 14 days! Want to know more about dashboard design?